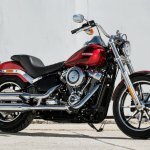 Harley-Davidson India has expanded its Softail portfolio by introducing two new models, the Harley-Davidson Low Rider and the Harley-Davidson Deluxe in the country. 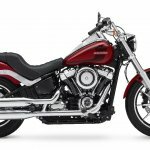 The brand also launched the Anniversary Edition of the Fat Boy. 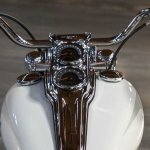 With the launch of the new bikes, the total number of motorcycles in the Softail range stands at six. The Indian market has evolved and customers look forward to innovation in technology and comfort. This is evident from the growth in the leisure riding segment for premium motorcycles. We have received an excellent response to the MY18 Softail line-up so far and we are excited to introduce these two new models that demonstrate our focus on reinventing products for motorcycle enthusiasts and aspiring riders in the country. 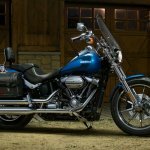 After Street Bob, the Low Rider is the second least expensive Softail in the country. 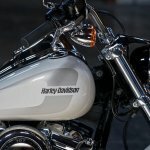 The Harley-Davidson Low Rider is inspired by the individualism of the 1970s custom chopper era that gave birth to the original. The motorcycle features the throwback-style dual tank mount speedometer and tachometer gauges; headlight visor and fuel tank graphics. The Radiate caste wheels measure 19-inch at the front and 16-inch at the rear. The powertrain and the exhaust are slathered with chrome. Speaking about the exhaust, the bike comes with 2-into-2 shotgun style units. Disc brake on both ends come with dual-channel ABS as standard. The design of the Deluxe is a nod to the nostalgic boulevard custom of the fiftes. The Harley-Davidson Deluxe exudes a retro aura, with its classic cruiser design and chrome laced-wheels with white-walled tyres. The lighting system, including the auxiliary lamps are all LED. The signature pull-back handlebar ensures a comfortable riding position. At 303 kg (dry weight), the motorcycle is 14.9 kg lighter than its previous generation. The wheels measure 16-inches on both ends. Like the Low Rider, the Deluxe also comes with disc brakes on both ends with standard dual-channel ABS. The exhaust is a 2-into2 ‘shorty’ unit with chrome finish. The powertrain is chrome as well. When it comes to the powertrain, the 1,745 cc Milwaukee-Eight 107 engine makes 144 Nm of torque at 3,000 rpm. The same engine does duty on both the bikes. Compared to the previous High Output Twin Cam 103 engine, the new mill offers 10% quicker acceleration from 0-96 kmph; and 16% better pick-up from 96 kmph to 128 kmph in 5th gear. the transmission is a 6-speed unit. The two cruisers come with a large 19.1 litre fuel tank. 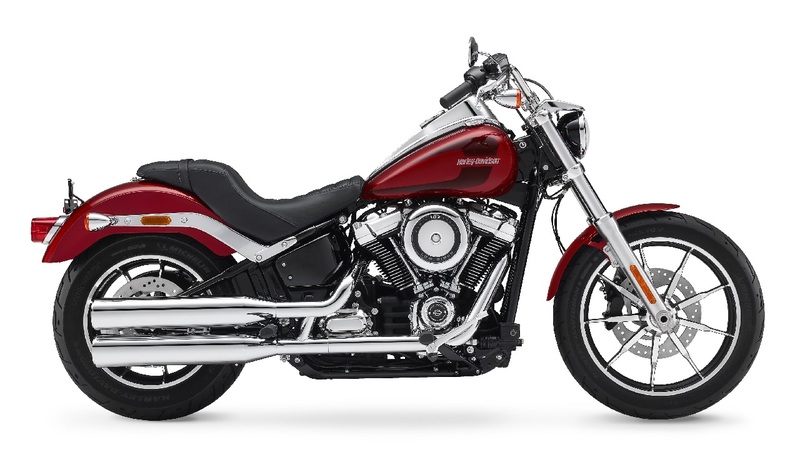 Harley-Davidson has equipped the bikes with high-performance cartridge-type front fork and rear monoshock which is neatly hidden to maintain a hard-tail look. The Low Rider costs INR 12.99 lakhs, while the Deluxe will set you back by INR 17.99 lakhs, both ex-showroom, Delhi. 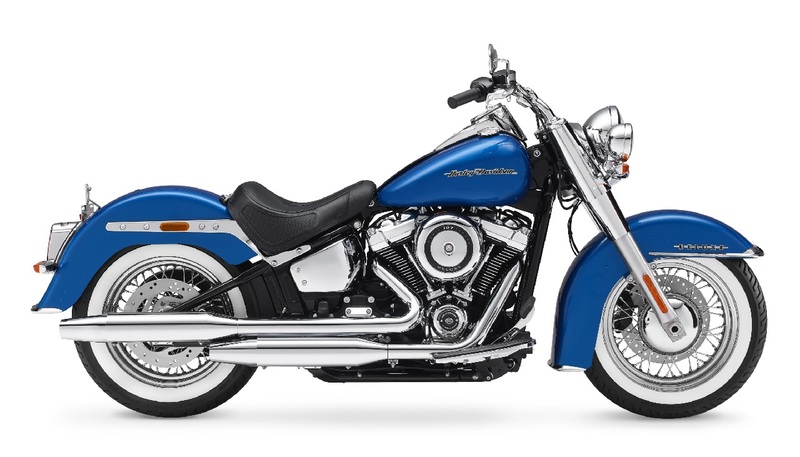 The Blue paint scheme is unique to the Anniversary Edition of the Fat Boy. 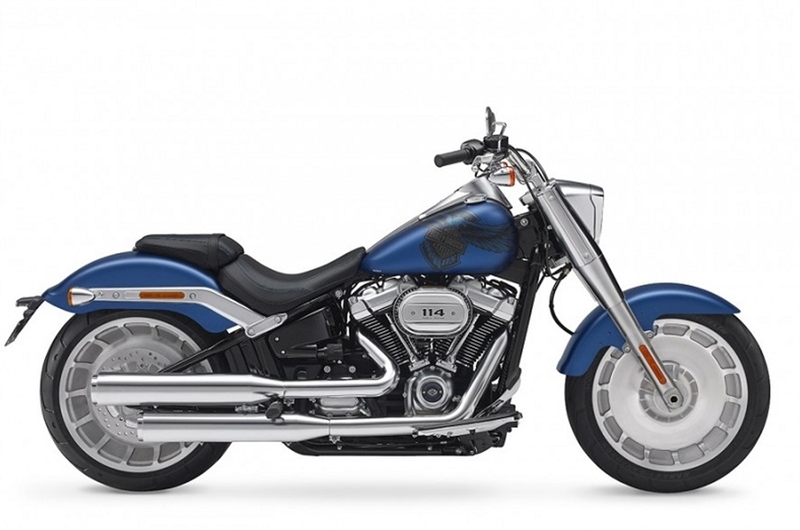 Coming to the Harley-Davidson Fat Boy Anniversary Edition, the cruiser employs a bigger Milwaukee-Eight 114 engine. The 1,868 cc V-twin churns out 156 Nm of torque at 3,000 rpm, and pairs with a 6-speed gearbox. Cycle parts are the same as the 107 engine variant. The Anniversary Edition comes in two exclusive colours: Legend Blue/ Vivid Black, and Legend Blue Denim. 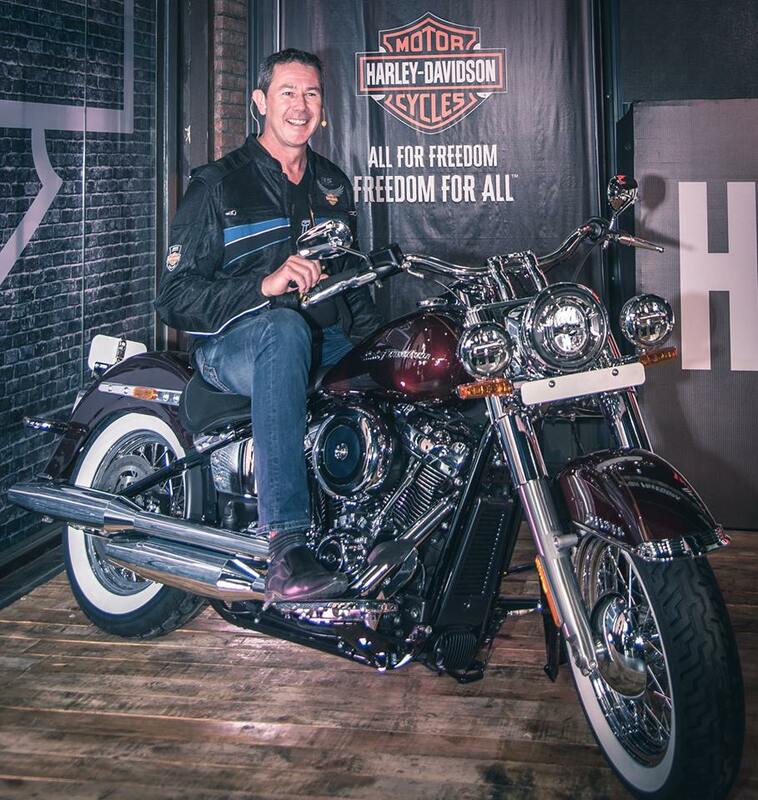 Harley has priced the Anniversary Edition at INR 19,79,000, ex-showroom, Delhi.